This project consisted a tenant fit-out of a 3,000 sq. foot space at the Green Briar Plaza. 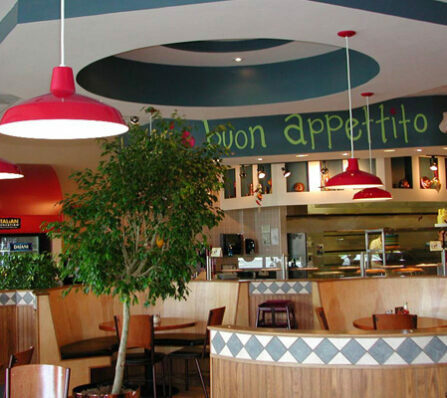 This empty space was transformed into an exciting Italian eatery with strong red and green accents. 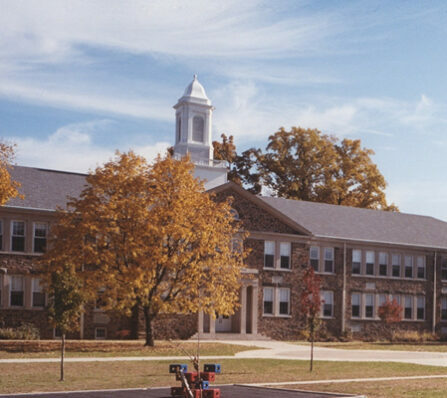 Project included a complete renovation of the existing 55,000 square feet school and construction of a 15,000 square foot addition to this historic building, originally constructed in 1929 and included in the National Historic Registry. 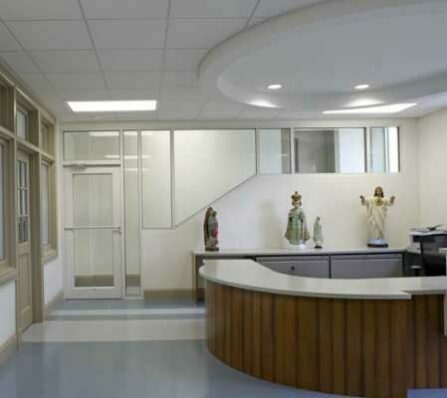 The project involved extensive renovations to 50,000 SF as well as a 15,000 SF addition. 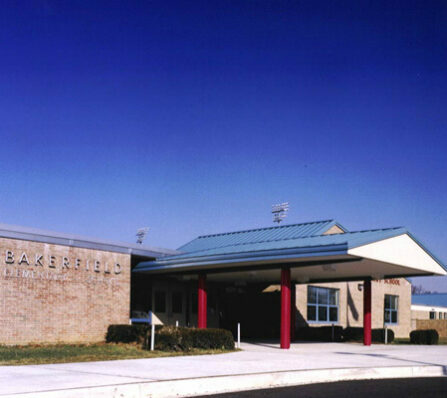 The building was occupied during construction and great care was required to prevent interruptions to the school’s mechanical and electrical system needs. was selected for the construction of a 5,000 square foot brick veneer structure. 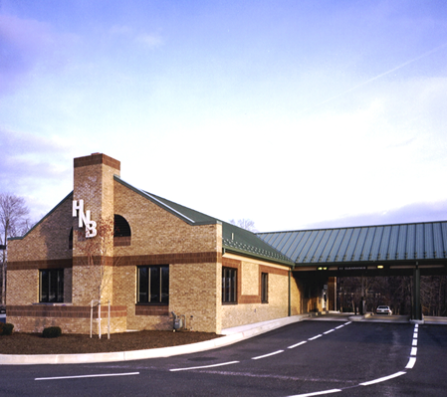 Features of this building included a standing metal seam roof, aluminum curtain walls and windows storefronts. This site also included the construction of three drive in bays. The interior of the building is highlighted by drywall acoustical ceilings, architectural light coves and bulkheads and painted wood raised panels wains coting. 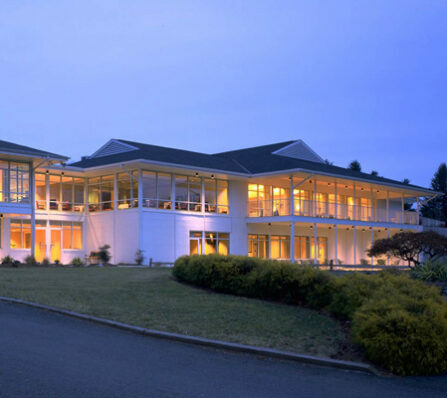 CAM was selected to provide Construction Management at Risk services for this multi-phased renovation and addition project. Services included: assistance with development of a long range master plan, completion of a constructability study and associated value engineering, and selection of the Architect/Engineer team to implement the plans for renovating and adding to this fully occupied facility. CAM constructed a new 49,000 SF addition to an occupied existing facility. 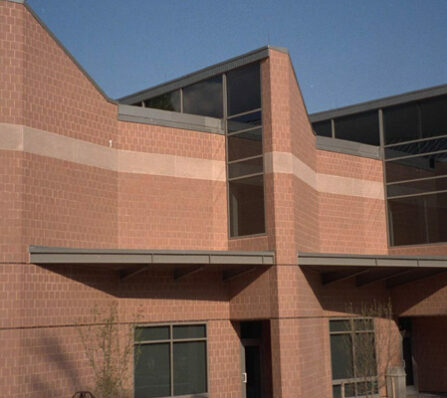 The project entailed four cell blocks approximately, 7,000 SF each. 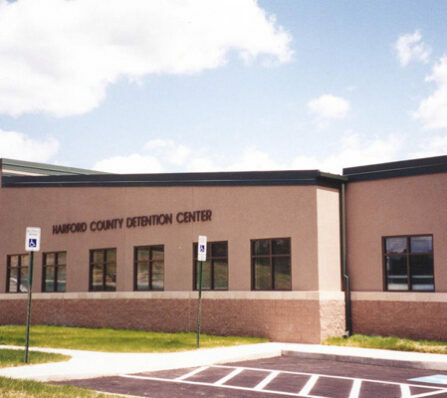 Also included in the facility were administrative offices, visitation areas, hearing rooms, booking areas, multi-purpose room, isolation rooms, and inmate circulation areas. The project’s site was challenging. There was approximately 30,000 cubic yards of earth to be moved, along with a stream crossing with wetlands mitigation which were required for installation of a new road connecting the two sides of campus, as well as a 450 space parking lot. 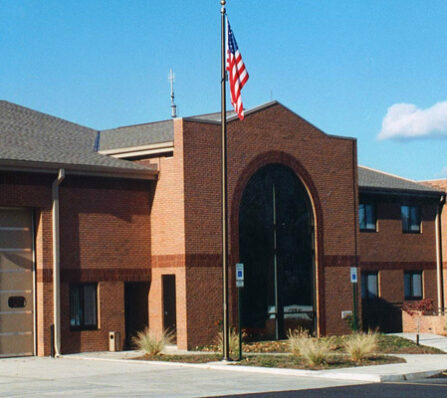 The Abingdon Fire Station is a three stories masonry load bearing structure with grade access at both the first and second level. It required extensive site work due to the extremely sloping and wooded site. The upper level floors of the building are precast concrete plank with concrete topping and the roof structure consists of wood trusses with asphalt shingles.